program called “ Theatre Day” at the local school, for which a performance with a series of shows was in preparation. 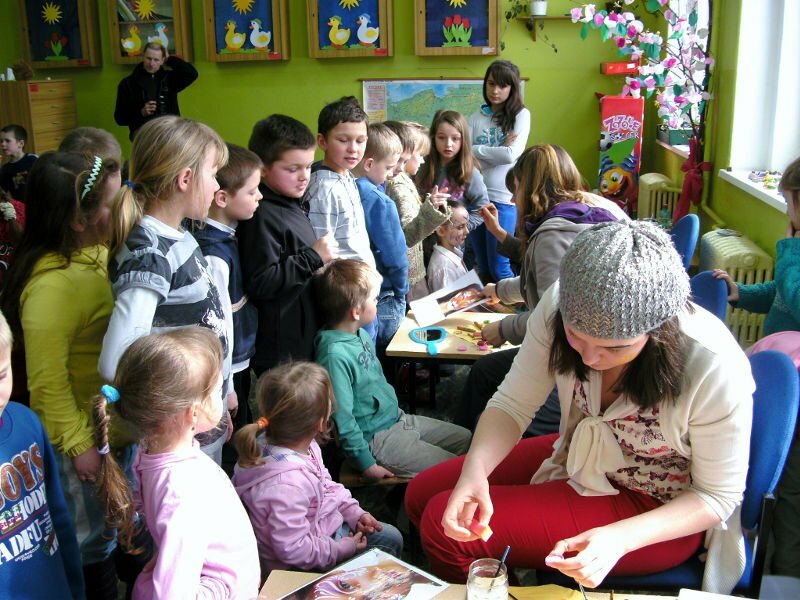 We were in charge of the “face-painting”, a program particularly for the children from the kinder-garden, who were invited to get a first impression of the “nice sides of school”. 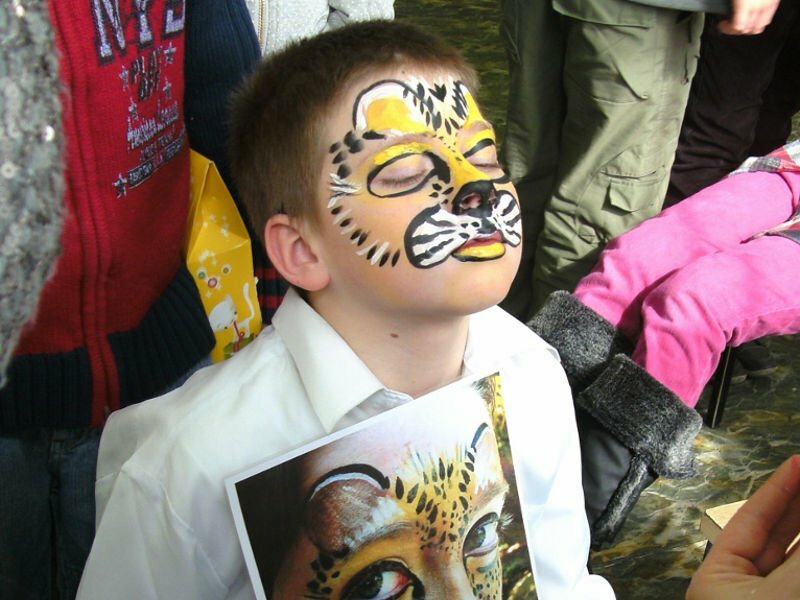 Comic hero character face paints were the most popular among the boys, whereas the girls preferred flowers and butterflies. We also prepared some refreshments such as cookies and drinks and offered them to the visitors of the “Theatre Day”.